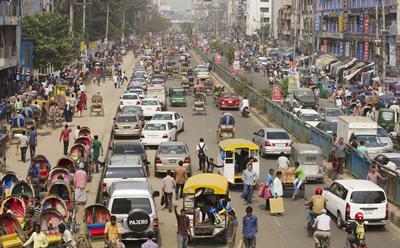 The University of Southampton has been awarded nearly £2m to research and help reduce the high number of fatalities from road traffic accidents in low and middle-income countries (LMICs). The money is part of £120m from the National Institute for Health Research (NIHR) given to 33 research units and groups, with the aim of improving the health of patients and public. Southampton’s money will go to the NIHR Group on Global Road Safety, part of the University’s Transportation Research Group. It will fund work to collect road transport data, develop and simulate solutions to road safety problems, and help shape policies and regulations to reduce accidents in LMICs. Lead researcher Professor Neville Stanton commented: “World Health Organisation figures tell us that low and middle-income countries have more than twice as many road traffic fatalities, per head of population, compared to high-income countries. They represent 82 per cent of the global population, but they only have 54 per cent of registered motor vehicles – demonstrating a disproportionate number of deaths relative to their level of motorisation. The team will conduct research in four countries, from low-income through to upper middle-income. They will collaborate with universities in Bangladesh (Bangladesh University of Engineering and Technology), Kenya (Strathmore University), Vietnam (National University of Civil Engineering) and China (Tsinghua University). 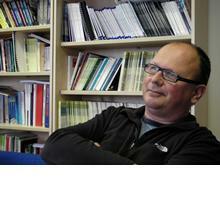 Professor Neville Stanton is Professor of Human Factors in Transport within Engineering and Physical Sciences at the University of Southampton.